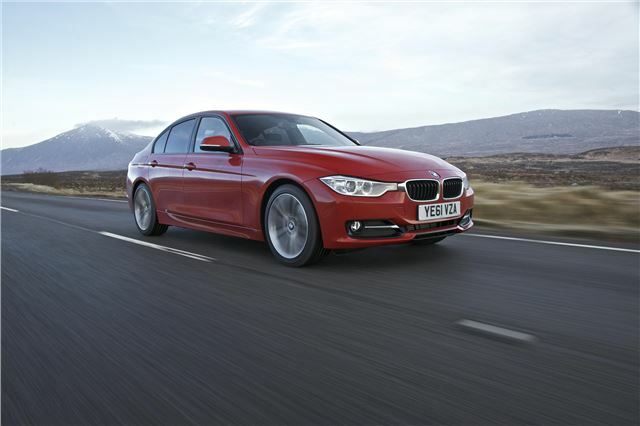 The BMW 3 Series has been voted Best Company Car at this year's Fleet News Awards, while BMW took the title of Fleet Manufacturer of the Year on its way to a total haul of four trophies. Beating off competition from everything from the Ford Fiesta to Range Rover Evoque, Fleet News said "Low running costs, class-leading residual values and the most efficient models in this category make the 3 Series stand out. It’s a great car to drive and the auto versions are equally as economical and impressive which opens up a whole new market for this car." BMW also picked up awards for the 3 Series and 5 Series in the Best Premium Car and Best Executive Car categories, as well as the Manufacturer of the year award. Judges’ comments: The recent facelift keeps the Ford Fiesta ahead of the pack with its modern, bold look and availability of low CO2 emissions engines for both petrol and diesel. The car is packed with the latest safety features and innovative technology such as the MyKey system to limit top speeds. Backed by excellent support from the manufacturer and its dealer network, the Fiesta also gives fleets low running costs and strong residual values. Judges’ comments: The Golf is the best all-rounder in its class with outstanding driver appeal, bags of interior space, high levels of specification and low running costs – it ticks every fleet box. Volkswagen has moved the game on by improving handling, while interior quality is much more premium in look and feel. Judges’ comments: The Mazda6 offers power with efficiency. Its ground-breaking technology in using lightweight materials and re-engineering the drivetrain has resulted in excellent, highly efficient petrol and diesel engines. The car is well equipped and exceptional to drive, while the judges noted the fleet friendly badging for a simplified line up. Judges’ comments: An excellent all-rounder with one of the biggest boots in its class, the Superb has outstanding running costs on a par with much smaller estate cars. It’s a traditional estate car with lots of useable space and a focus on value for money. Judges’ comments: Brand and status lifts the Discovery above its rivals. It’s just as capable off-road and on, offers seven seats and has strong running cost figures, especially for service and repair No longer does Land Rover suffer from reliability issues. With best-in-class residuals, the Discovery ticks all the fleet boxes. Judges’ comments: Vauxhall invented the compact seven-seat MPV and the Zafira Tourer takes it back to the top. Spacious with lots of storage and innovative, clever seating, the modern look inside and out combines with practicality, competitive pricing, low CO2 and impressive running costs. The Tech Line trim is the icing on the cake – perfect for fleets. Judges’ comments: The Evoque re-launched Land Rover as a fleet manufacturer. It oozes driver appeal, has excellent space management and performs equally impressive as two- or four-wheel drive. Competitive emissions, excellent residuals and a high level of standard specification, make the Evoque a landmark model that is set to become iconic for the brand. Judges’ comments: Low running costs, class-leading residual values and the most efficient models in this category make the 3 Series stand out. It’s a great car to drive and the auto versions are equally as economical and impressive which opens up a whole new market for this car. Judges’ comments: The 5 Series is a great all-rounder while the balance of economy and performance in the Efficient Dynamics version is class-leading. Strong residuals, short lead times, fresh styling and an outstanding drive, the 5 Series is an executive car that appeals to young and old. Judges’ comments: A ground-up developed electric vehicle that feels like a real car, the Leaf has a spacious interior and class-leading technology which delivers impressive real-world range. With low running costs, it’s perfect for the right fleet role. Judges’ comments: Ford has responded to feedback from fleets and the leasing industry and taken a number of actions to improve its relationships over the past year. New innovative schemes such as the accident management programme are adding value and saving fleets money, while for vans, a move away from front-end values to total cost of ownership has dramatically improved fleet efficiencies. A 2% increase in total fleet car sales is impressive for the market leader, noted the judges.